A remote control switch gives an operator the ability to remotely activate and deactivate the remote control system at the abrasive blasting nozzle, eliminating the need for a pot tender, increasing productivity and reducing costs. The Blastmaster® 150P Remote Control Switch features a spring-assisted safety tab and handle, providing a dual “Fail-to-Safe” design. Typical applications include blast rooms, blast yards, bridges, oil refineries, pipelines, railcar shops, shipyards, and storage tanks. The Blastmaster® 150P Remote Control Switch allows the operator to remotely activate and deactivate the remote control system at the abrasive blasting nozzle, eliminating the need for a pot tender, increasing productivity and reducing costs. The Blastmaster® 150P Remote Control Switch features a spring-assisted safety tab and handle, providing a dual “Fail-to-Safe” design. 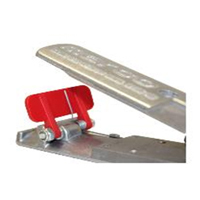 The Blastmaster® 150P Remote Control Switch is constructed of die-cast aluminum for durability and lightweight. 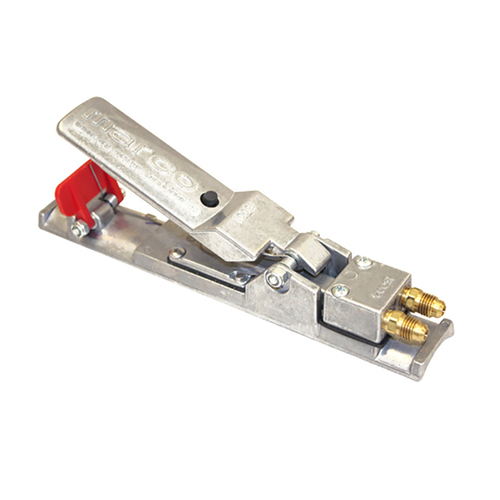 The Blastmaster® 150P Remote Control Switch has a broad handle design reducing hand fatigue when abrasive blasting for long periods of time.